Friday night's Shark Tank is airing a special Halloween episode that promises to bring at least one scary company into our homes, TenThirtyOne Productions. The production company built on bringing live horror to the scare fanatics of the world is bound to scare us at least once with its $2 million ask for a 10% stake, but in the greater scheme of Shark Tank, it's child's fare. After all, this is a show that features Mark Cuban's menacing lifted eyebrows, Kevin O'Leary's chilling diatribes against newbie entrepreneurs, and Barbara Cocoran's blood-curdling lowball offers. So ABC wants to put up a real Halloween-themed Shark Tank episode? Why not just compile the scariest moments from the series in one place? Oh wait, that's what we're doing. Here are the scariest moments from Shark Tank. When Mark Cuban Challenges a ValuationOkay, maybe Mark knows what he's talking about, but that eye roll strikes fear in the hearts of many. It's not just that Cuban is arguably the real big shot of the show; he's also capable of swaying the whole shark tank. Nothing is scarier for an earnest team or a hopeful supporter at home. That Time Mark DancedUsually Robert and Lori are the pitch guinea pigs, riding skateboards or trying sugar scrubs. However, when Mark got up to join in on a fitness company's pitch, it was nothing short of horrifying. Look at that smile. Oh God, is that come hither look directed at Kevin? When Lori Grenier Disapproves When Lori disapproves of a company, it means there's no hope for a company. Lori for all intensive purposes is the "nice one," and there's nothing scarier than when the only ally in the room turns cold. When Robert Herjavec Dropped the DogWe all know Robert loves dogs more than life itself, but sometimes he gets way to hands-on. When Meg and Matt from the dog-centered ice cream company The Bear & The Rat came on the show, he almost led their cute little dog to his death. When Entrepreneurs Try to Be FunnyThere is nothing, I repeat nothing, that is scarier than businesspeople trying to be funny. I'm getting my garlic out for those guys at BagBowl before any vampire. 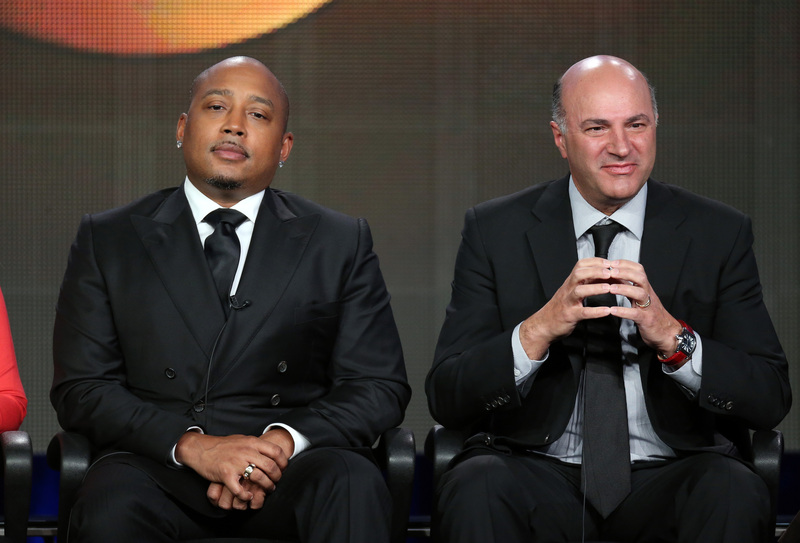 Shark Tank airs on ABC Fridays at 8|7C.